Born in Chicago on January 29, 1913, to immigrant parents from Kovno in Czarist Russia (now Lithuania), Reuben Kadish was the oldest of three sons. The family moved to Los Angeles in 1920 and that is the primary place where the soon to be artist developed strong roots and lifetime friendships. His father, Samuel Kadish was a painting contractor by trade but also harbored strong political interests having been a member of the Marxist-oriented Bund in Kovno while a young man in pre-revolutionary Russia. The Yiddish-speaking household was rich in books and magazines though the artist’s father had stopped his formal schooling at age ten. The elder Kadish was quite artistic in his own right as a trained decorative painter, expert in various decorative painting techniques such as faux bois and marbling. Something must have rubbed off on his first son Reuben, who early on, drew everything in sight as well as becoming a teenage political radical, leading a protest against U.S. Marine presence in Nicaragua, with the result of getting thrown out of high school. By 1930, Kadish was a precocious student at the Otis Art Institute in Los Angeles and soon befriended two young men who not only became life-long friends but would later wield an enormous influence on the Post-War art world, Philip Goldstein (who later became Philip Guston) and Jackson Pollock. Goldstein and Pollock had been classmates at the Manual Arts High School in LA until both were booted out for distributing satirical pamphlets. Though Pollock never studied at Otis (he moved to New York in 1929 to study at The Art Students League with Thomas Hart Benton), he often visited LA, remained close with Goldstein and struck up an instant rapport with the dark eyed and intense Kadish. Goldstein and Kadish soon grew tired of Otis and set up a studio nearby where they continued their self-taught apprenticeship to Renaissance painting and the growing movement of the Mexican muralists. Siqueiros had secured a major mural commission in Morelia, Mexico, and had intended to execute the project himself but his energies were drawn to Europe by the Spanish Republican movement and the nascent Spanish Civil War. Several other more prominent artists were in the running for the opportunity but for various reasons, declined. After seeing photos the duo had sent him of a completed mural project for a community center in LA, Siqueiros invited his young charges to paint a 1,000 square foot mural at the University of Michoacan in Morelia Mexico, the former summer palace of Emperor Maximillian. Their mutual friend, the poet and budding art critic Jules Langsner accompanied the young men to Mexico, their first venture outside the U.S. Kadish at age 21 and Goldstein at age 22 literally became art stars once the U.S. press got wind of their radically themed mural. The ambitious wall-sized composition, titled “The Struggle Against War and Fascism,” encompassed both Renaissance and Surrealist influences, complete with dangerous looking hooded figures strongly reminiscent of Ku Klux Klan thugs and their forebears from the Spanish Inquisition. 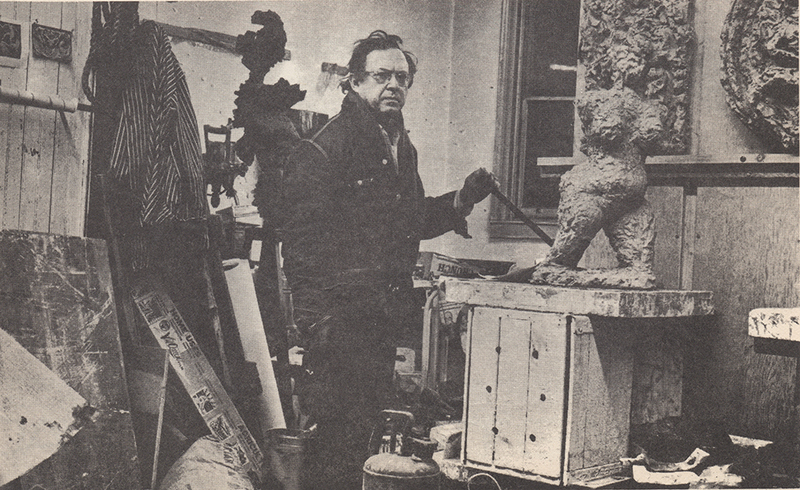 1970, Reuben Kadish in his studio. Kadish and Goldstein returned to the U.S. and joined the fledgling artistic arm of the Works Public Administration. They painted a politically charged mural (recently restored) at the City of Hope Tuberculosis Center in Duarte California. But that proved to be the end of their short lived but remarkable partnership. 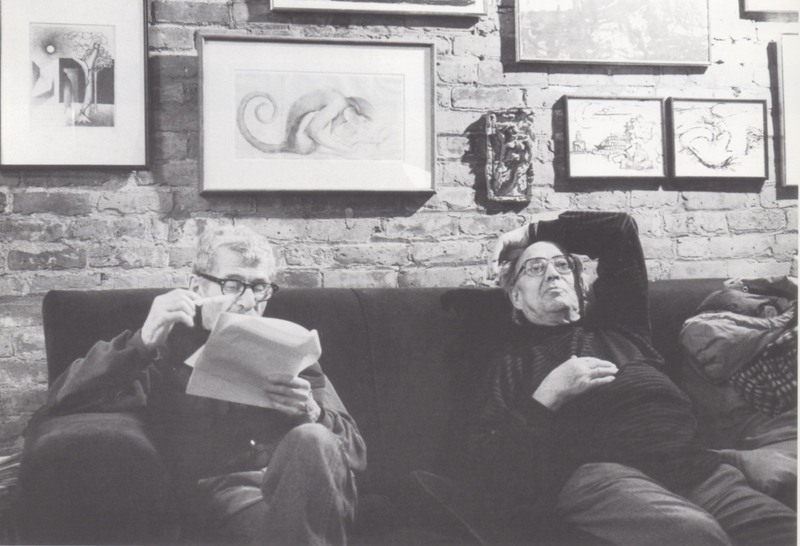 The two split up after that, with Guston moving to New York and Kadish to San Francisco. 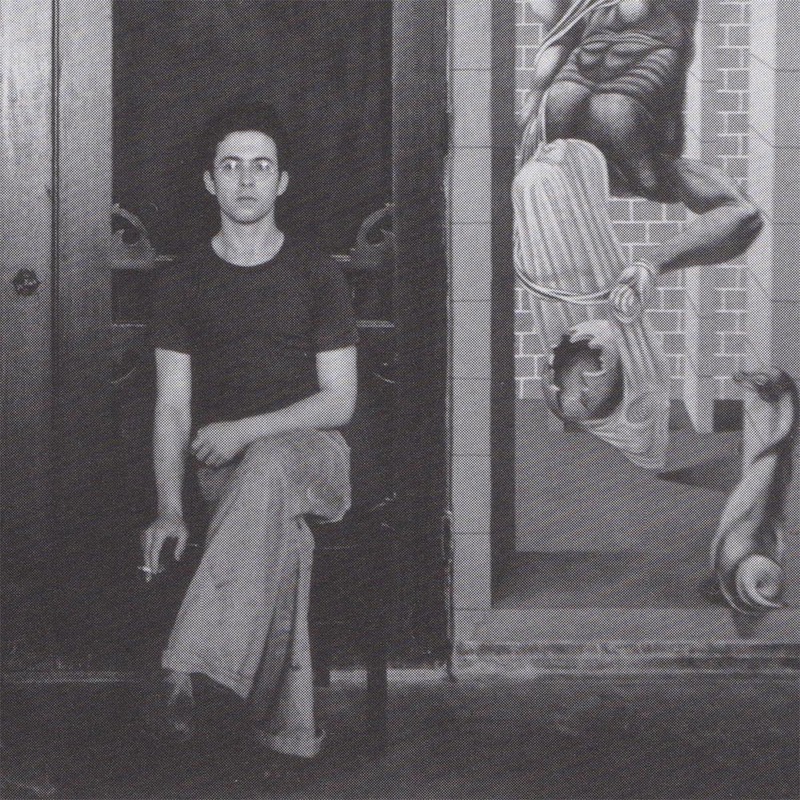 Striking out on his own as a WPA artist during the Great Depression, Kadish executed the brilliant and still extant “A Dissertation on Alchemy” mural in the Chemistry Building at San Francisco State College in 1937. It proved to be his solo San Francisco commission despite submitting twenty odd designs for the bureaucratically stuffy WPA. “They were too flamboyant, too revolutionary, to this, too that,” recalled Kadish in the Archives of American Art interview. During World II, Kadish worked as a civilian for Bethlehem Steel and the shipping industry, building destroyers and submarines until he was recruited to join the U.S. Army’s Artist Unit, an elite branch funded by Congress to artistically document the war effort. Many of his searing images of bombed out villages in Burma and India and heart-wrenching scenes of death and starvation are now in the collection of the U.S. Army Center of Military History in Washington, D.C. But the earth-shaking events of World War II had another impact on Kadish, back in the U.S. with a young family to support and no job prospects, so to speak. He worked for twenty-five cents per impression in a part-time job for Stanley Hayter’s storied Atelier 17 in Greenwich Village, printing editions for the likes of Joan Miro, Andre Masson and other European Surrealists. Though he quickly became an expert dairy farmer and grew enamored of the land and life cycles of raising animals, misfortune pursued him. A catastrophic fire in his metal quonset hut studio on the farm in the late 1940’s destroyed all but a few of his Abstract Expressionist Paintings. He would never paint again. But after hard times of torment about his loss, the artist, geared to the soil and hands-on machinery of the farm, became a sculptor. Once that dramatic transformation was made, there was no turning back and Kadish moved his family back to New York City, renting out his land to tenant farmers and starting a new career. He taught design at the Newark School of Fine Art and Industrial Design, the Brooklyn Museum of Art School and finally in 1960, began his long association with the Cooper Union in Manhattan as a professor of art history and sculpture. Setting himself up in a small carriage house on East 9th Street, walking distance from Cooper, the new empire included a nasty basement where his etching press was set up. So Kadish, after a ten year exile, returned to the then booming New York School scene that still championed Abstract Expressionist painting and largely ignored sculpture, except for the legendary likes of David Smith. 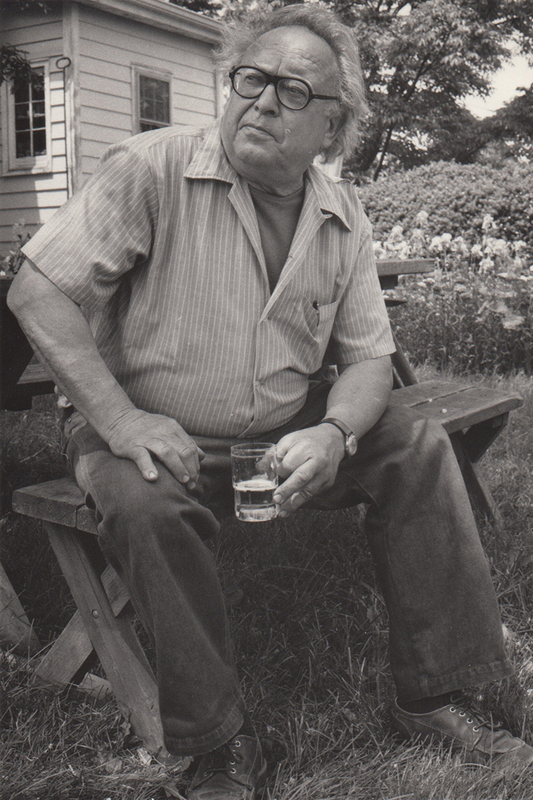 Apart from his teaching and art making in the late 50’s and 60’s, Kadish also moonlighted as part owner of the White Horse Tavern, the legendary Greenwich Village bar where the British poet Dylan Thomas died from alcohol poisoning in 1953. During the 60’s, Kadish’s wife, Barbara Weeks Kadish, actively pursued her life-long passion for archaeology at New York University, eventually heading NYU’s Pre-History Dig at Aphrodisias in Southwestern Turkey. Julian, the youngest of their three sons, accompanied Barbara to Turkey for several of her summer expeditionary digs. In 1962, Dan Kadish, the couple’s oldest son, married Philip Guston’s daughter, Musa Jane Guston. Kadish created an impressive oeuvre of deeply scored terra cotta and bronze sculpture that was viscerally reflective of his Abstract Expressionist roots and hammered out a respectable exhibition career. It included stints with the Elaine Poindexter Gallery and Grace Borgenicht Gallery as well as two retrospective exhibitions at the Artists’ Choice Museum in SoHo (1985) and the New Jersey State Museum (1990). But for a variety of complex reasons, some of it a result of his decidedly prickly and often combative manner, Kadish made a far larger impact on a generation of art students who passed through the great hall of Cooper Union than his career in the New York art world. Those lucky ones heard Kadish’s thundering lectures on Egyptian funerary sculpture, Greek mythology and cinema like slide shows of exotic art and architecture from around the world. (a portion of that huge slide collection is now part of Cooper’s Library). Even during his most prolific period during the mid-1980’s when he executed his brutally expressionistic caste of terra cotta and bronze portrait heads, most attention from critics, art historians and filmmakers were centered not on Kadish’s art works but his raconteur-like recollections of the deified Jackson Pollock or his personal brushes with Siqueiros and other artistic titans like Joan Miro. In fact, Kadish and his late wife Barbara turn up as characters in “Pollock,” the Hollywood film starring Ed Harris. Since his death on September 20, 1992 at the age of 79, the Reuben Kadish Art Foundation has worked with one goal in mind. It’s simple and straightforward: distributing Kadish’s sculpture and graphic work to museums and public collections in order to make his name and contribution to the annals of American Art better known to new generations.